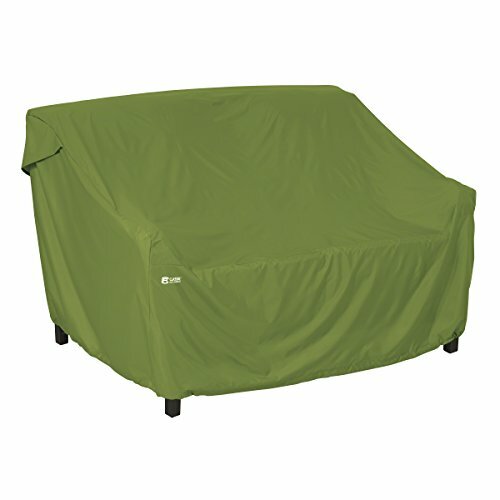 The SODO Plus Patio Furniture Cover Collection by Classic Accessories offers unique styling with clean lines and solid main body contours while providing reliable protection and peace of mind in wet, windy weather. Our new and improved RainCote fabric is made from durable woven polyester canvas but stores easily when not in use. The SODO Plus Collection offers more features than other similarly-priced covers with a look that stands out from the crowd. When you buy a Classic Accessories grill or patio furniture cover you are not just getting a cover; you're also purchasing peace of mind. Not only will your grill and patio furniture be protected from the elements, but you'll be protected with the easiest warranty in the industry. If your product fails within the warranty period, look for us online and take advantage of our Hassle-Free warranty program supported by our US-based customer service team.